To get to Ipsos Beach, one must first get to Corfu. From Athens, there are multiple means of transportation to get to Corfu. There are regular flights leaving for Corfu on a daily basis, as well as scheduled buses. 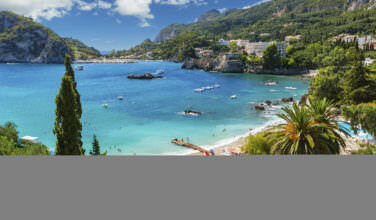 Ferries provide access to Corfu, and an adventurous traveler can drive to the ferry and then take the ferry to Corfu. 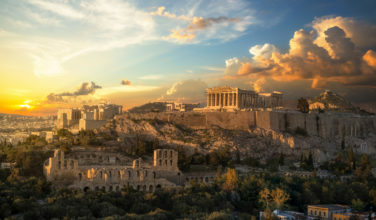 Taxis are also available from Athens, which can be an affordable option if there are multiple travelers. 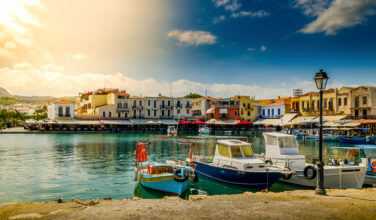 Once on Corfu, travelers can take a taxi to their destination. Buses run along Ipsos Beach and motorbikes are also available for hire if one chooses to do so. Ipsos Beach has been a popular tourist destination since the development of its first holiday resort in the 1970s. Ipsos Beach is a very clean beach. It is on the small side and is only approximately a mile long and very narrow. The beach itself is comprised of pebbles and sand. The composition of the pebbles allows beach goers to avoid finding sand in every crevice of their belongings. The beach is located very near to the main road and is very accessible. The water is clear and crystalline, and with the view of the mountains, a very picturesque place to visit. The sea here is very shallow and appropriate for all ages to swim in. Ipsos offers a variety of places for visitors to stay including: hotels, campsites, and private homes to let. Ipsos Beach offers a multitude of activities for travelers to choose from. Located right by the port, vacationers can take a cruise along the coastline. Parasailing, water skiing, and paddle boats are just a few of the water based activities to take advantage of. For those that wish to see what lies beneath the surface of the sea, scuba diving is a popular activity. The beach offers sunbeds and umbrellas for hire to visitors, so sunbathing and simply lying on the beach are always options. Beach showers and changing areas are conveniently located on the beach itself. Shopping is available in the busy town located off the beach. While quieter than other towns on Corfu, numerous bars allow for an active nightlife in Ipsos. 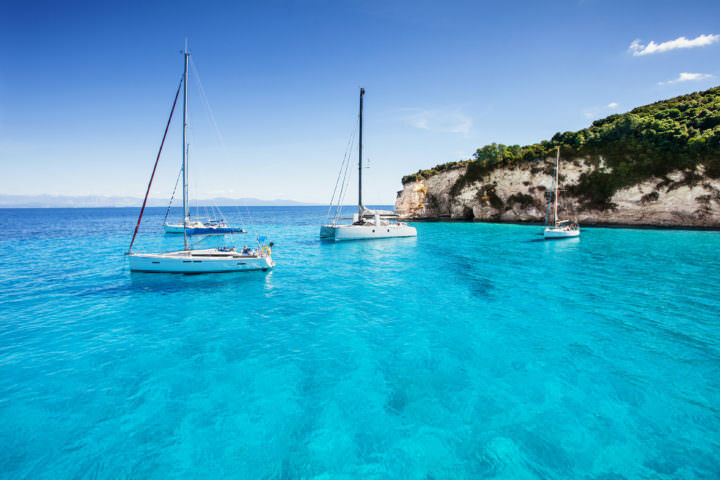 The island of Corfu itself includes a plethora of activities and historical sites to visit. 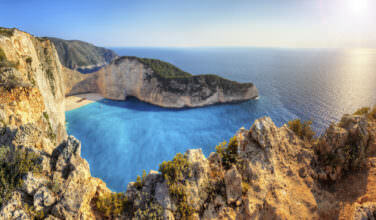 While on the Greek island of Corfu, you’ll no doubt want to spend some time lounging in the sun. Ipsos Beach is a great place for this. You’ll want to take the time to visit here so that you can experience all it has to offer.